"I am large, I contain multitudes," Walt Whitman had written. 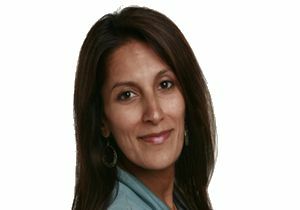 And Sukhinder Singh Cassidy knows a thing or two about multitudes. She was named in the Fortune list of '50 Most Powerful Women' and was Google's president for Asia-Pacific and Latin America operations. In her other avatars, she had also been the CEO-in-Residence with Accel Partners (one of the investors in Facebook), CEO of Polyvore and co-founder & senior vice-president with Yodlee, among other things. But how does she do it all? Techcircle.in's contributing editor Sudarshana Banerjee catches up with her in a candid conversation. The interview is spread across three segments. First, we talk about Joyus, Singh Cassidy's brand new start-up which is all set to revolutionise online shopping, with the world's first video commerce platform. Next, we take a close look at the Indian e-commerce environment and talk about e-commerce 3.0. Finally, Singh Cassidy tells us a little about herself and has some advice to share with our entrepreneurial readers. "We launched Joyus' alpha site less than 30 days after I incorporated the company â€“ on a generic website building tool â€“ to get quick data on whether women would watch videos online to buy. Our beta launch six months later is actually the fourth incarnation of the site and still only a fraction of the experience we hope to create," says Sukhinder. "But now, we have much more data, confidence and momentum than we did when we had started out," she adds. Joyus is a start-up that was just launched as the world's first premium video commerce experience. The conversion to sales has been up to 7 per cent, which is on the higher end of the spectrum for direct response marketing. Of course, these videos are featuring premium merchandise and come with a 'Shop Now' link that also helps. Besides, shipping is complimentary and the buying process is designed to be fun, smooth and hassle-free. But how is Joyus different from the traditional infomercial model? Singh Cassidy: First and foremost, today's digital-savvy shoppers consume video differently, and want to drive and control how they consume it. Shoppers are also inherently social and want to participate in, and share the experiences they love. That has not been possible with one-way broadcast technologies so far. The vision for Joyus is simple â€“ to leverage the power of short-form video to help transform and delight online shoppers. In our minds, this is very different from the traditional models which have been used in an analog/TV setting. We believe Joyus is designed to help today's online users leverage the power of video to discover, purchase and share things they love. Can you tell us something about your business/revenue model? Singh Cassidy: The business model is straightforward; we partner with brands and retailers, and take a revenue share of purchases made through the Joyus platform. How is it decided which products are to be featured? Is there an independent selection process? Are there specific product categories that you want to feature or do not want to feature? Singh Cassidy: We are currently offering products in the beauty, fashion and lifestyle category to this demographic, but believe the potential for online video sales is not limited to any single category. Brands can also submit new products they would like to see featured on Joyus, for consideration for either an editorial segment and/or a 'sponsored' segment. We feature products that our curators â€“ experts, stylists, bloggers and others â€“ are passionate about. Our editorial process includes reviewing products that have been discovered by our curator network and identifying those which we think will help transform, delight and solve a problem for our key customers today â€“ namely women in the age group of 29-44.
Who are the Joyus curators? Are they brand-agnostic? Singh Cassidy: Joyus curators are mavens in their given categories "they can be bloggers, stylists or experts. With our editorially driven programmes and segments, they are bringing their independent picks of products they've selected and are passionate about, to our customers. We also partner with brands who want to showcase their new-in-season products to our customers in segments called 'sponsored' or 'featured' videos. These segments may be hosted and curated by them directly (by the designer or chief creative officer, for example), or by a Joyus curator who is excited about their products. How did you get the idea of launching a video commerce platform? Singh Cassidy: I was late-night shopping last Fall (for entertainment, in-between doing e-mails), and I found it frustrating clicking through image after image to find something I liked. I thought, surely there must be a better way to bring some of the fun, entertainment and information that have only been available historically in shopping offline, to women shoppers online. You have already closed a first institutional round of funding and raised some $7.9 million in total capital. Can you tell us a bit more about this? Singh Cassidy: The company has received $7.9 million in total funding, led by Accel Partners and Harrison Metal. Other notable investors include Venky Harinarayan and Anand Rajaraman from Walmart Labs (previously Kosmix), and Joel Hyatt, founder and CEO of CurrentTV. Singh Cassidy: As we move out of beta, we anticipate being able to offer the Joyus experience to anyone who comes to our site. Our plans right now are focused squarely on trying to delight our early customers and transform their online shopping experience, using video. We are doing something that hasn't been done before, and staying focused on our core experience is critical. Do you have any near-term plan for launching in APAC/India? Singh Cassidy: In the near-term, our platform supports sales to US residents only, although, of course, anyone can watch a Joyus video from anywhere in the world. What do you think of the Indian e-commerce ecosystem? Singh Cassidy: From my time running Google in APAC and LATAM, I would characterise the Indian e-commerce ecosystem as still being focused largely on categories like travel and classifieds/matrimonials. Softer goods remain very underpenetrated domestically, although there are many interesting and new e-commerce companies focused on serving the NRI market (Exclusively.In, for example). If you look at the size of the growing middle-class in India, it is already bigger than the total population of many digital-savvy nations. So I think the opportunity for e-commerce domestically is massive. How do you think the Indian domestic market can be opened up? Singh Cassidy: I think one of the critical things for developing this market domestically will be the availability of reliable, fast and cheap domestic shipping infrastructure, which the USA has benefited from greatly (with UPS, USPS and Fedex). Talking about the USA, why do you think overall penetration of e-commerce remains rather low as part of total US retail sales, given the country's high PC/Net penetration? For instance, e-commerce sales in the first quarter of 2011 accounted for 4.5 per cent of total sales, according to a US Department of Commerce release. Singh Cassidy: I think one of the reasons why e-commerce penetration overall remains low, is that there are still problems to solve with online shopping versus offline shopping. For example, categories like clothing traditionally rely on touch and feel and fit. This is hard to communicate with a still image. Shopping online is still not 'fun', while shopping offline is a form of entertainment, particularly for female shoppers. This is why we think platforms like Joyus present such a large and exciting opportunity. Would you say the e-commerce 3.0 paradigm is different from the e-commerce we have got used to? Can e-commerce be differentiated as 1.0, 2.0 and so on? Singh Cassidy: I think e-commerce 3.0 is about bringing entertainment, excitement and social interactions to shopping, particularly to categories that remain underpenetrated. Video is an amazing medium to do all three of these things. 1.0 commerce was about comparison shopping across categories that could be objectively assessed (like books, videos, travel, electronics, classifieds); 2.0 commerce was about creating best-in-class customer service and convenience from sites like Zappos and Amazon. But this is by far the most exciting period we've seen in e-commerce in the last 10 years, with so much innovation pouring into the category. You may have been asked this question a lot of times. Is it difficult being a woman in what has been traditionally the male domain, that of senior executives? For example, currently only 12 Fortune 500 companies are run by women. And only about 15.2 per cent of the Fortune 500 company boards have women serving as members. Singh Cassidy: I do think women and men have unique leadership characteristics, and women may lead differently than men, but it is up to any single individual to decide how to maximise or leverage those styles in the workplace. Being a CEO or entrepreneur requires incredible 24/7 energy. It also takes a lot of energy being a mother and it takes energy to raise children. Women need a strong support system â€“ for work and at home â€“ in order to make it work. I have been lucky in this regard, to have had incredible professional and personal support at critical points in my career. Did you personally have to face any gender bias? Singh Cassidy: To be honest, I have not felt a traditional gender bias in Silicon Valley, in terms of my ability to succeed. I think of the Valley as a meritocracy and of investors as looking for any leader â€“ male or female â€“ who can give them the best potential return on their investment. You have taken the road less travelled and travelled it on your own terms. What is the biggest challenge you have faced so far in that journey? Singh Cassidy: Professionally, the biggest challenge for me has been trying not to take things too personally, and to recognise that I can't control every situation or its outcome. It is challenging learning to put in the effort that I can, but letting go of the outcome. It is hard being able to accept whatever happens. I continue to work on this. I think the challenges of being a female entrepreneur or CEO at this stage in life are unique. The biggest challenge for me personally has been coping with my father's passing. He was truly my North Star and the person who gave me a perspective on what matters in life. I find me constantly asking myself what my father would say or do when I'm in tough situations, and trying to remember his example. Like you said earlier, being a CEO and a widely successful entrepreneur, as well as a mother, would require incredible energy. What motivates you? Singh Cassidy: The possibility for greater impact is what has always motivated me. I always want to be reaching for my peak potential and contribution. This is what has led me to make career changes and personal changes in my life at times that would not seem obvious or necessary to others. Singh Cassidy: Certainly being a mother. It is the role I'm most proud of. Professionally, being able to motivate and lead both small and large-scale teams and feeling like I have accelerated the success of others is something that has given me a lot of my energy. What will be your advice to entrepreneurs who are starting out? Singh Cassidy: Iterate, Iterate, Iterate. Progress is often made in small, discrete steps, not giant leaps. The importance of action cannot be underestimated, in my mind. Act thoughtfully, but act quickly. As entrepreneurs, you are trying to act on, at best, imperfect data, and sometimes no data at all. Formulate a thesis, act, get information back and you will create your own data set and more importantly, momentum for your business.